Off the shelf GPS data loggers are now common place and a part of many HAB flights made by those who don’t have the skills or time to make their own. It is especially good news to report on one made in Britain; where many HAB enthusiasts lead the development of such devices. 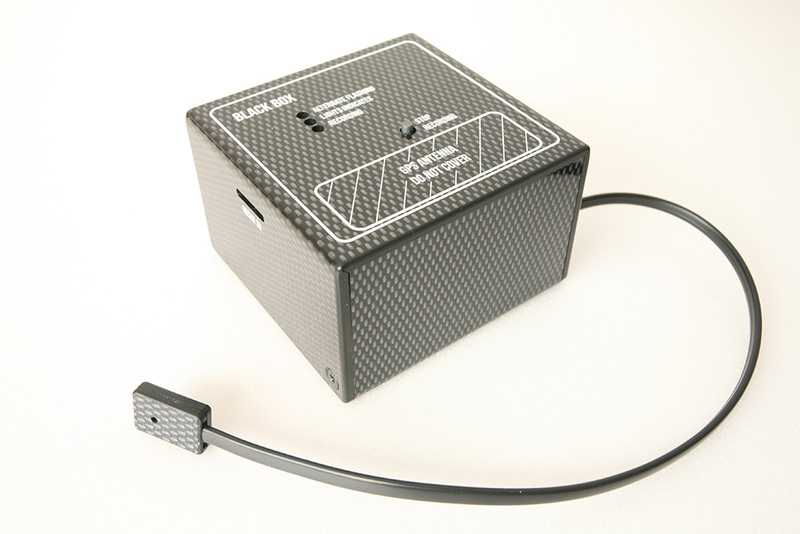 The company ‘Sent into Space’ has now sold out of it’s first generation GPS data logger called the Black Box. 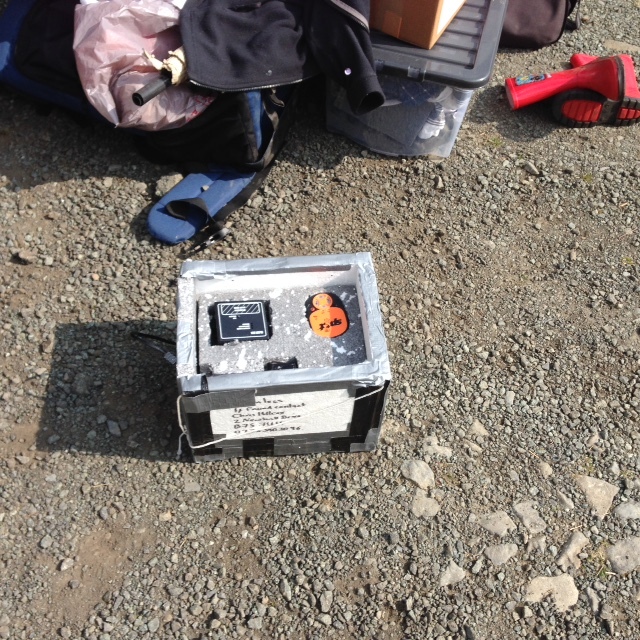 We were given a Black Box and put it to the test. First, here is a little information about the GPS and meteorological data logger. The unit records GPS position and altitude, internal and external temperature, humidity, air pressure, acceleration (multi directional), and magnetometry. This is gives a little extra than competitive devices but so far I am not sure what to do with the acceleration and magnetometry data provided. The unit comes in a convenient moulded plastic box. There is convenient labelling to identify the location of the antenna and a fairly simple battery compartment. It is nice to get the unit in a protective case but it does add extra weight and create issues in placing it in payloads designed around the data loggers that just come as bare bones printed circuit boards. The Black Box records data to a micro sd card. Again standard fair but the slot is not easily used and you need a suitable set of tweezers to remove the memory card. On the other hand the Black Box has a detachable sensor which clips in and unplugs very easily. There is also a set of LED lights to indicate function. As with other GPS data loggers, there is no simple on, record, and off light sequence. Just a series of flashing light which you are told indicates good device function. Finally the Black Box runs on 6 AA batteries. This adds extra cost and weight to the logger compared with other GPS loggers which use 9v batteries. 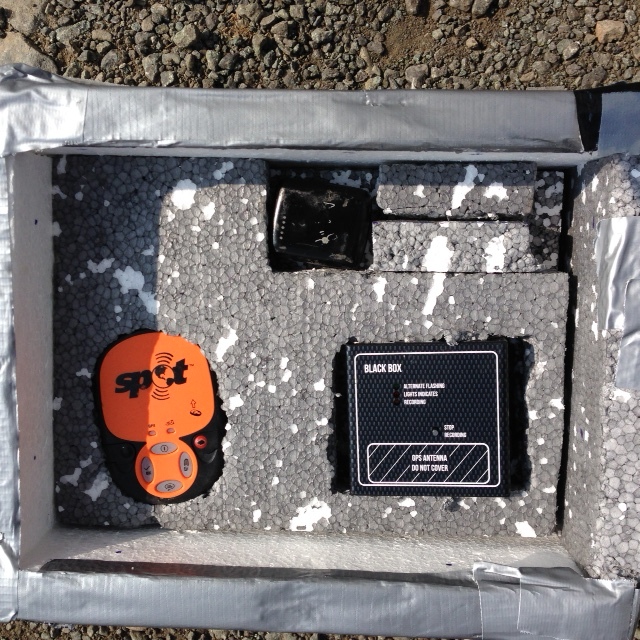 I tested the Black Box this spring and we on the whole pleased by the performance. The Black box successfully recorded data in a series of files and these were relatively easy to integrate with the supplied programme after I managed to get the memory card out of it’s slot (not always very easily done). This is a big advantage on other flight computers which risk data file corruption if batteries fail mid flight and before balloon recovery. 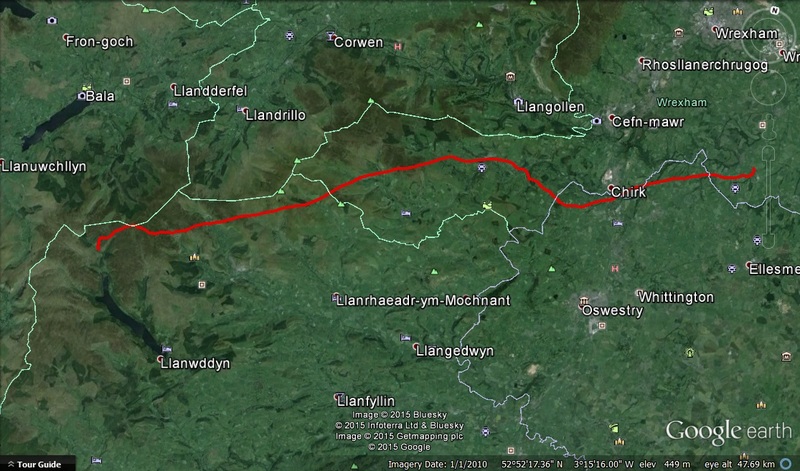 I was also pleasantly surprised to find that it is easy to produce 3d and 2d map representations of the flight using popular online mapping software such as that on www.gpsvisualizer.com . Other data loggers such as the Hexpert Zlog 7 provide software so it was good to see the Black Box made compatible with 3rd party mapping software. All in all I was impressed with the Black Box. On the plus side it is robust and relatively simple to use, though I have spoken to complete beginners and they have had some difficulty in following the instructions and knowing what to do. It is a little more expensive than others available and come may find the moulded plastic box cumbersome. There is also issues of weight and the SD card slot which are hopefully being addressed in the next generation of Black Box. On balance though I can recommend this product.